‘Workers’ or slaves? Textbook maker backtracks after mother’s online complaint. Mothers of teenagers are used to getting frustrating text messages, but the one that Roni Dean-Burren received from her 15-year-old son last week wasn’t about alcohol, dating or money for the movies. “We was real hard workers wasn’t we,” Coby retorted in a subsequent text. The image alarmed Dean-Burren, who was an English teacher for 11 years at the Pearland, Tex., public high school that her son attends. Now a doctoral candidate in the University of Houston’s Language Arts program, she has spent much of her life thinking about the power and dangers of nuanced language. The motive behind the textbook’s choice of words seemed clear. In calling slaves “workers” and their move to the United States “immigration,” she noted in viral Facebook posts Wednesday and Thursday, the textbook suggests not only that her African American ancestors arrived on the continent willingly, but also that they were compensated for their labor. The changes will be made in the textbook’s digital version and included in its next run. While McGraw-Hill’s action came swiftly, it was after tens of thousands of people had already expressed their outrage on social media. By the time Dean-Burren received news of the company’s response, her video contemplating the textbook’s impact had garnered half a million views. On the other hand, few students use the digital version, and as her son’s textbook is brand new (copyright year 2016), another print version likely won’t come out for another ten years, Dean-Burren said. The educational publisher has been criticized for its Texas materials before. 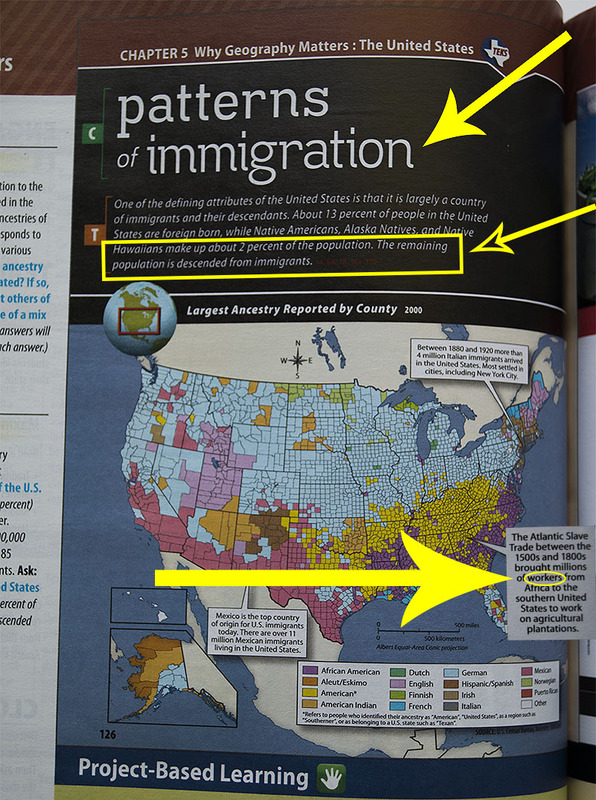 McGraw-Hill was one of a handful of textbook providers that came under fire after the Texas State Board of Education adopted new standards for its social studies curriculum in 2010 — a policy that educators derided for interfering with accurate history instruction. While the changes were only made to books sold in Texas, some feared that the state’s large market would make the revised texts instant bestsellers, thereby encouraging other school districts to follow suit. 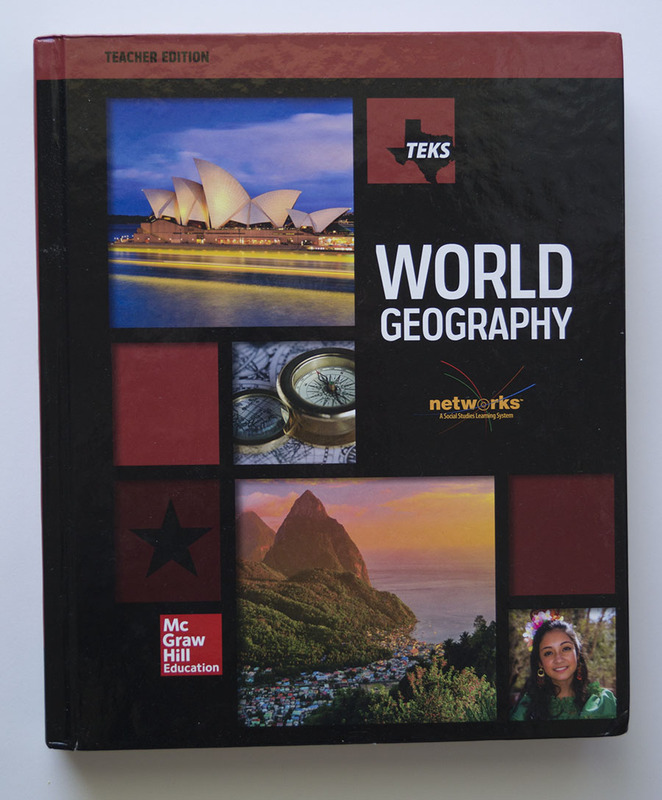 As recently as last year, scholars reviewing textbooks based on the Texas Essential Knowledge and Skills guidelines found a number of historical misrepresentations, among them several in McGraw-Hill’s proposed textbooks. These issues included declaring that a Muslim garb hinders women’s rights, palliating the inequalities African Americans faced under Jim Crow and representing slavery as only a secondary cause of the Civil War. Most of the textbooks found to be problematic were nevertheless approved. Southern Methodist University history professor Edward Countryman told NPR in an interview this summer that including no more than a cursory nod to race and slavery in textbooks does students a disservice. “It’s kind of like teaching physics and stopping at Newton without bringing in Einstein,” said Countryman, who reviewed some of the Texas books for this school year. 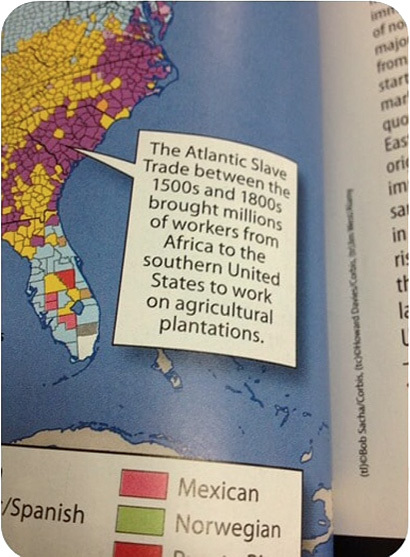 As it so happens, McGraw-Hill’s description of the Atlantic slave trade has had a positive educational impact on at least one student. Shortly after the publisher’s response, Dean-Burren and her son were sitting next to each other on the couch when Coby started dialing his mother’s cell phone number. “Why are you calling me?” she asked, confused. He urged, “Answer your phone.” Speaking into his, Coby fulfilled a request that Dean-Burren made when her son started high school.